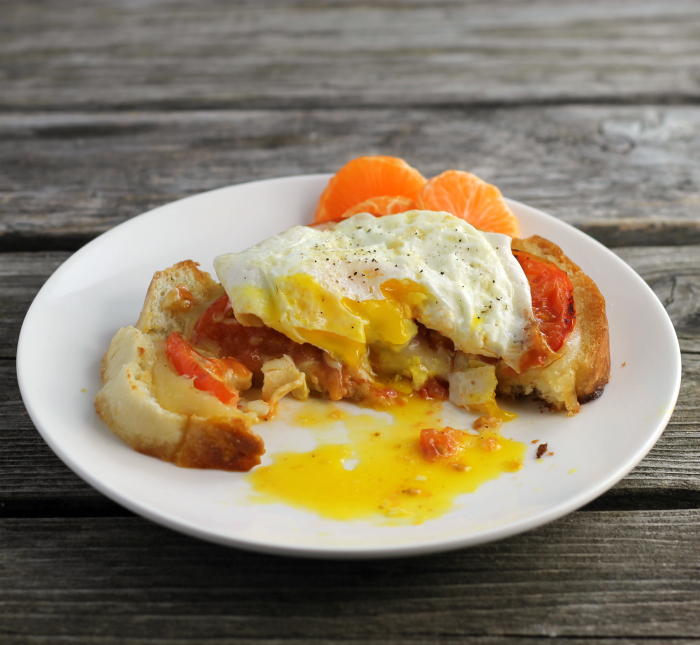 Here is another simple idea for breakfast… open face cheese tomato egg sandwich. If you look at my last post you will see that I declared my love for breakfast foods. Yeah, I definitely love it when breakfast rolls around. I am not sure if this really qualifies as a recipe… maybe more of an idea. 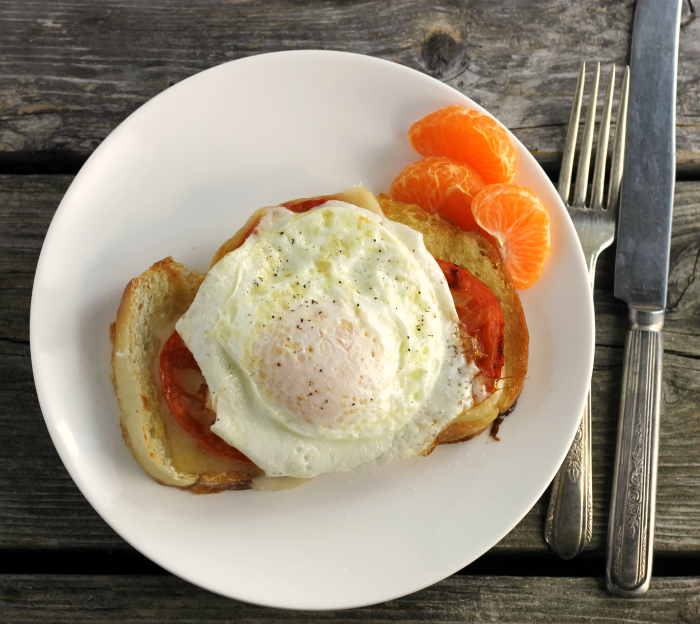 You can never go wrong when it comes to eggs and toast. And open face sandwiches are always a winner in my book, too. 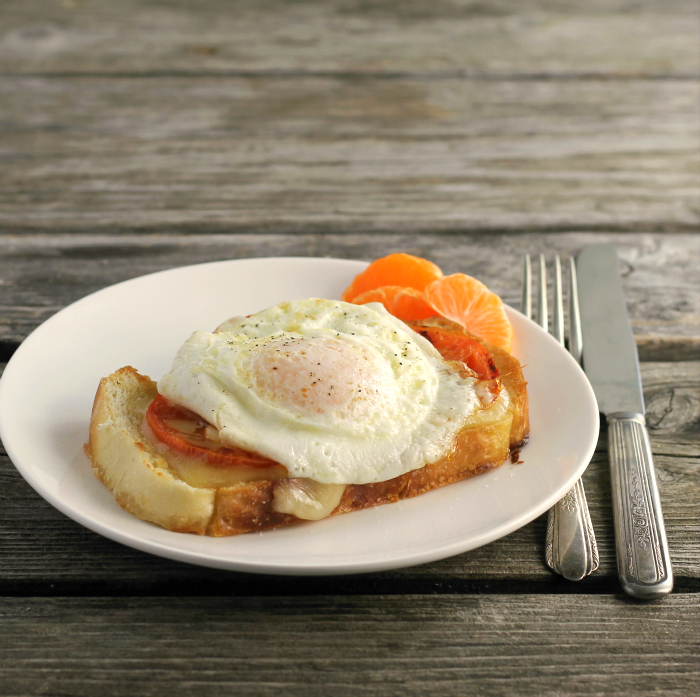 For this cheese tomato egg sandwich, I grilled the bread first, I spread butter and celery salt on the bread, but some fresh herbs would be wonderful. I grilled the bread until it was lightly browned and as I was grilling the bread I also grilled the tomatoes. Once the bread was grilled I topped it with cheese and let that melt. To this, I topped it with my grilled tomatoes and a runny egg. Sprinkled the egg with salt and pepper and dinner was done. I have to confess, I actually made this for my dinner, which worked for me. But, hey this would totally work for breakfast too. There are so many ways to change this up. As I mentioned earlier use fresh herbs, add some bacon or ham. Oh, peppers and onions would be wonderful. I better stop now or I will find myself out in the kitchen cooking right now. Butter both sided of the slices of bread. Heat a skillet or a grill pan. Heat the skillet or pan over medium heat. Add the buttered bread and grill until golden brown and turn and repeat. While the bread is grilling, brush the tomatoes with olive oil and add to the skillet or grill pan. Grill until they are just turning light brown. That looks very delicious and satisfying! This sounds like one delicious sammich, Dawn! 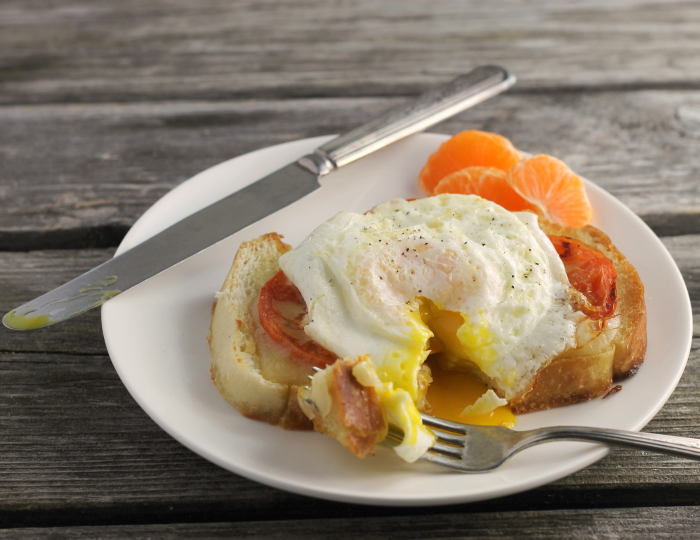 If we don’t have any leftovers around, my go-to lunch is actually an egg sandwich. I love the idea of a warm lunch. I usually scramble the egg, but I’m gonna have to give this version a shot soon. Love the tomato hiding in there! Yeppers, we love breakfast too. Any ding dong time of day. Yum.